Do you have a little archeologist on your hands? Then Applicable2u thinks that you should download Jigsaw Puzzles with Dinosaurs. 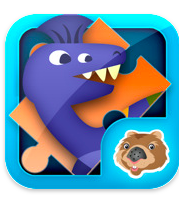 It’s puzzle building, education and fun all packed into one application! Wombi has designed an educational app that is child friendly, which offers a clean design and meets the needs of all learning styles and ages. It’s made up of 8 different puzzles and three levels of difficulty. While exploring this application, students are working on a number of skills from building their fine motor, manipulating and developing their vocabulary skills. As a user enters they will want to set the level of difficulty – Easy, Medium or Hard. This can be done by pressing on the “flower like” shape in the upper right hand corner of the screen. While in the set up options, the developer also offers this application in 10 different languages. Simply select your language and level of difficulty and click the “backwards” arrow in the middle to begin your dinosaur adventure. Once the dinosaur type has been selected, the pieces will break up across the page. The level of difficulty will decide how small or large the pieces happen to be. This is one of the many things that Applicable2U likes about this application. It differentiates for all learners and finger manipulation capability. In creating this application, it is quite obvious that the developers have taken their users into consideration. Due to the nature that those typically using this application are younger children, Wombi has designed this puzzle app to have pieces magically rotating once touched and then dragged and dropped onto the mat. If correctly placed, it will lock onto the mat and provide an auditory response, a chime, which indicates a users success. If however, they are incorrect, the piece will appear smaller without any auditory reinforcement. At the completion of the puzzle, a child will see a completed image of the dinosaur and its name at the bottom of the screen. A note to the developer – might it be possible to allow the user to tap the image which would then read the name of that dinosaur? Applicable2U is just thinking of the difficulty in reading some of our prehistoric friends names. Overall, Applicable2U gives this a definite thumbs up! It is certainly a new top favorite in our home. If possible, we would love to see additional puzzles added to this application in future updates. Jigsaw Puzzles with Dinosaurs gives something for everyone. For our younger users, it’s a game that brings them happiness. 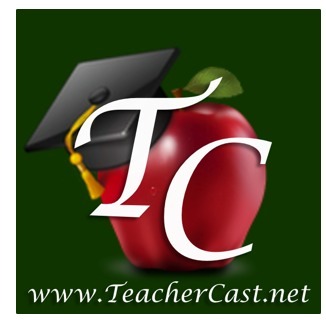 To a parent, it is an app that works on a number of necessary educational skills. If your child loves to build things then this app is for you! Interested in learning more about the developers, then be sure to visit the Wombi website. Or you can begin downloading Jigsaw Puzzles with Dinosaurs from your iTunes library here.